Dabbing reindeer shirts are this year’s hit! Every Christmas there is a new trend going on. Whether it’s ugly Christmas sweaters, grinch shirts, or as this year, reindeer t-shirts. To be even more precise, dabbing reindeer t-shirts! 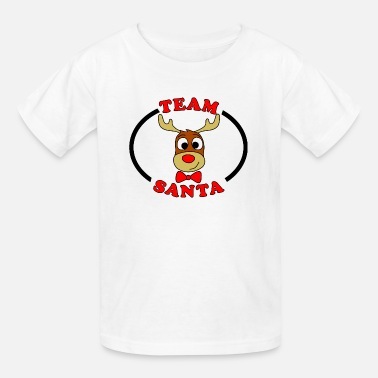 If you want to go with the trend, then you should browse Spreadshirt for the perfect dabbing reindeer t-shirt, because we sure have plenty of them. 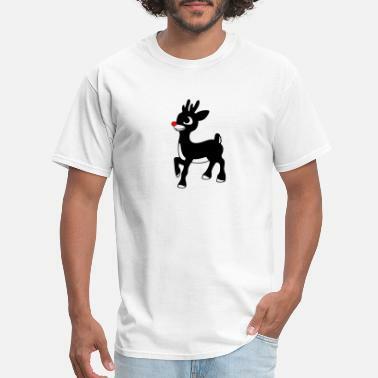 If you want something subtler, we have cute and artistic reindeer shirts as well. Pair it up with a Santa shirt to get a perfect partner look with your significant other, or your bestie at this year’s Christmas parties. 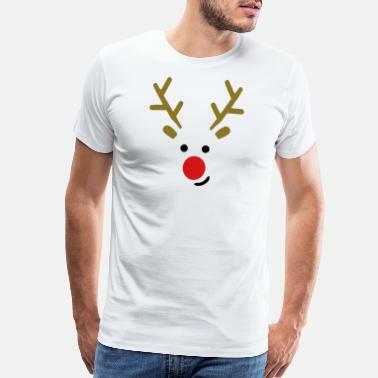 Don’t hesitate any longer and take a look around our Marketplace and browse hundreds of reindeer t-shirts and other Christmas apparel! You will surely find what you are looking for and even more! Reindeer Shirts for all your deerest! On Christmas Eve, kids usually want to wait up to see if they can hear the pitter patter of the hooves of Santa’s reindeer. Whether you know them all or you just remember Rudolph, the reindeer are almost a universal symbol of Christmas. 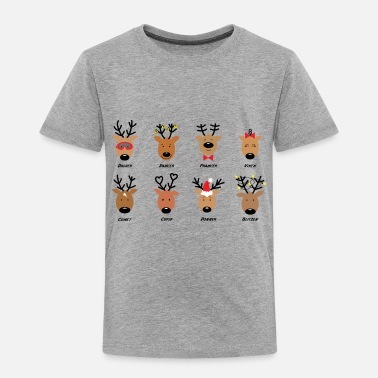 Get your Dasher and Dancer, Prancer and Vixen; Comet and Cupid, Donder and Blitzen, and Rudolf reindeer t-shirts right here. Other than that, you can find funny Christmas t-shirts, Santa shirts, and so much more on the Marketplace at Spreadshirt.com. We have all the holiday inspired t-shirts you could ever dream of! And thanks to our wide range of sizes, you can outfit your entire family in reindeer shirts and other Christmas apparel. Find the perfect Christmas gifts at Spreadshirt now!